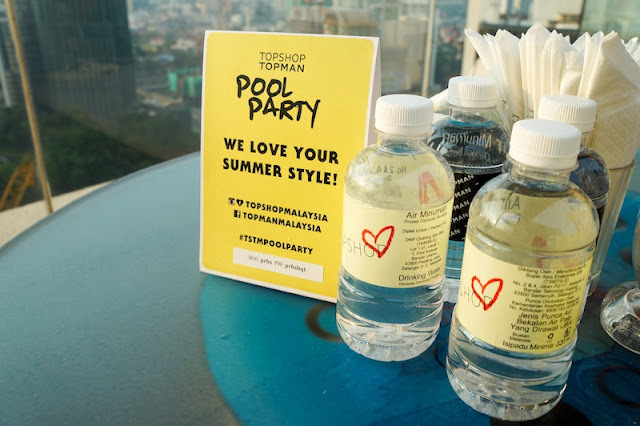 Topshop Topman SS13 Pool Partyyy! 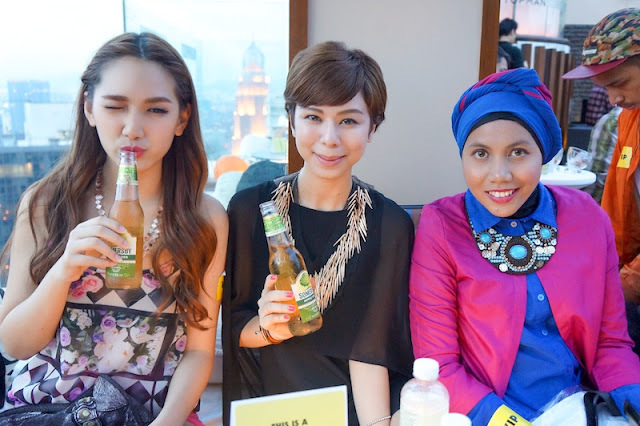 The famous UK's high street label has introduced their lastest SS2013 collection last Saturday. 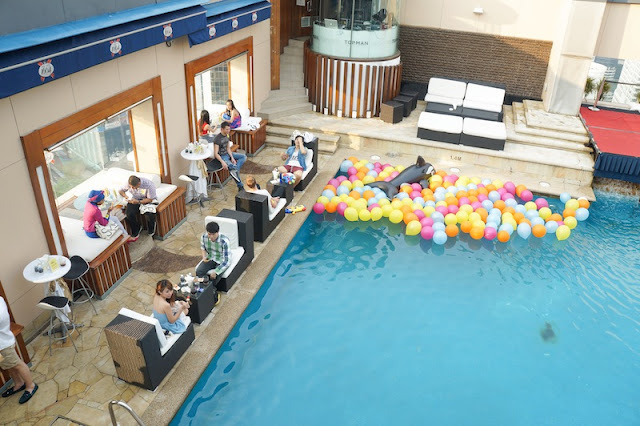 They got it underway at Luna Bar of a pool party theme with much anticipation. I didn't not expect to get wet (what am i thinking, it's a pool party = ='''), so i was only wearing bikini top but not the bottom. Bad decision because when i get there the pool was so welcoming and there were waterguns and water-ballons everywhere! At that moment, i really wanted to get wettttttt! 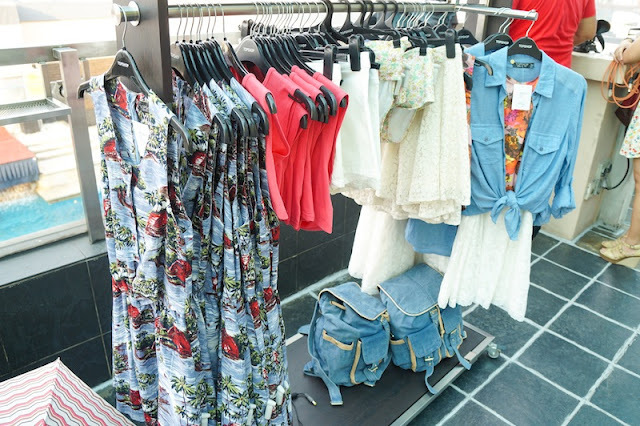 They also have a pop-up store specially set up at upstairs. Shopaholic couldn't run away from this chance to shop for their latest pieces at the same time enjoying the pool party. 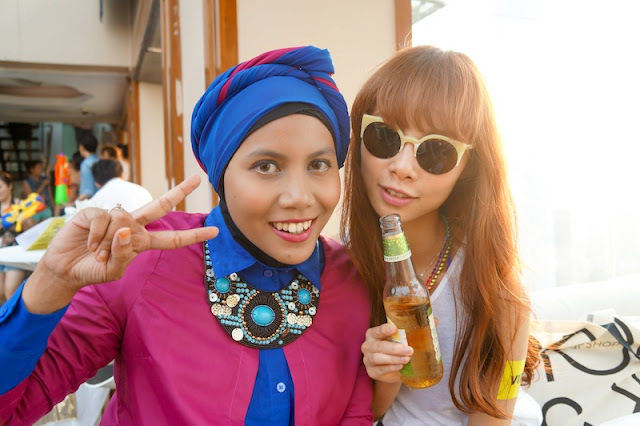 Met Ami, the fashion blogger before my girlfriends arrived. Jas & Ash with her pink brows. Love Jas's big messy hair bun. 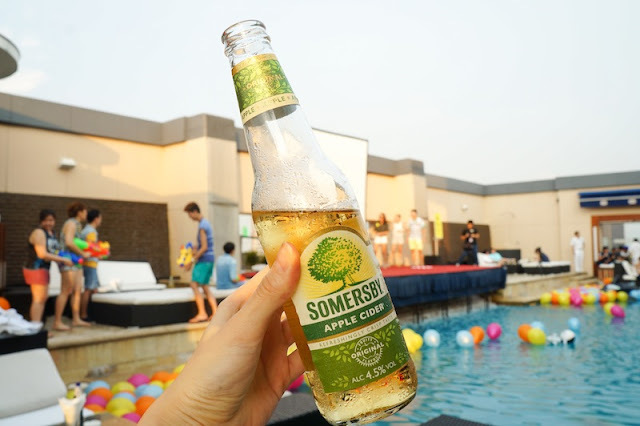 While enjoying our apple cider and good music by DJ Darren Ashely and Arabyrd, we continued taking pictures from the beautiful day scene to city night lights . Selca-level maxxxx! So you wonder where's the fashion show? After the photoboom session, Jas said she needs to get into the pool because she wants to get a picture with the orca. Claiming herself a dugong who get into the pool by keeping her face dry and make-up stays. AWESOME talent, lol.